More than 10,000 customers choose Dekcel. What dose a operator know about cnc stone carving machine? As a professional cnc stone carving machine manufacturer, Jinan Dekcel Cnc Equipment Company has focused on this filed more than ten years. 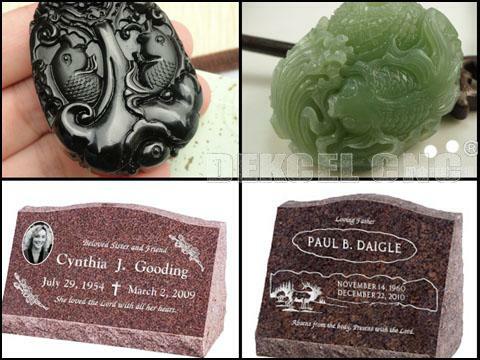 This article, we will introduce that what you should know about the cnc stone carving machine. 1. Theoretical basis: the training work must start from theoretical training, and operators must pass the theoretical examination. If the theoretical training is not passed, the training can not be carried out. 2. The use of tools of stone carving machine: after the training of theory, the training of cutting tools must be carried out. Operators can be familiar with the common tools, motor speed, attention and so on. 3. The application stone materials: operators must be familiar with the application of stone, different materials, thickness, and size of finished products. 4. The operation of various software of stone carving cnc machine: software training can be carried out after the above training. Hope my work can help you. If you are interested in our cnc stone carving machine, or have any question about the cnc router for stone carving machine, please contact Jinan Dekcel Cnc Equipment Company. We are support service 24 hours online. Thanks for your reading time.